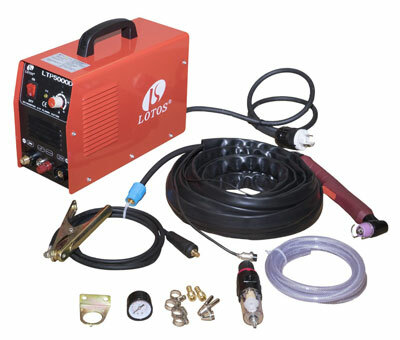 While satisfying professional operator demands, Lotos plasma cutters could especially be beneficial for DIY users and businesses. Here we review best-selling models of these Lotos cutting tools. 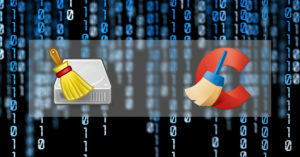 Lotos Technology is a company with headquarters in California USA. It produces quality cutting and welding tools to a wide variety of users, and in recent years it has gained recognition as a well-known supplier for consumer based and industrial portable plasma cutters with reasonable prices. When working on a wide range of materials and surfaces, clean and smooth cuts could be easily achieved with no metal distortion and minimal heat input using these plasma cutters. And cutting metal could be done without touching it by the torch tip because of the pilot arc technology used in these units. It also provides longer consumable life and better cutting quality. MOSFET transistor: thick metal cutting, which requires high power output, or thin metal cutting needing uniform output could all be done due to the power outputs produced by this transistor. Pilot arc torch: producing minimal slag, the torch is able to cut through rusty, painted and rough surfaces efficiently. Non-hazardous air usage: in order to cut different metals such as aluminum, copper, mild steel, alloy steel and stainless steel the plasma cutter uses compressed air which is not hazardous. Advanced cooling system: at maximum output, 60% duty cycle could be performed by the cutting machine due to the advanced German cooling system (PAPST). Please note that the dual voltage capability is automatic (in models which support this feature, of course). It means that no extra action is required by the user in order for the plasma cutter to select the right voltage. With each plasma cutter unit, customers get air hose connections, air hose, air regulator, ground clamp and cable, and a plasma torch. The main features are common among all models as stated above. 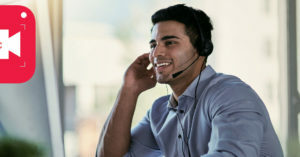 The first (and main) difference between models is the output current in each model which corresponds with the model number. It means that we’d get a 50A output with LTP5000D, 60A with LTP6000 and so on. 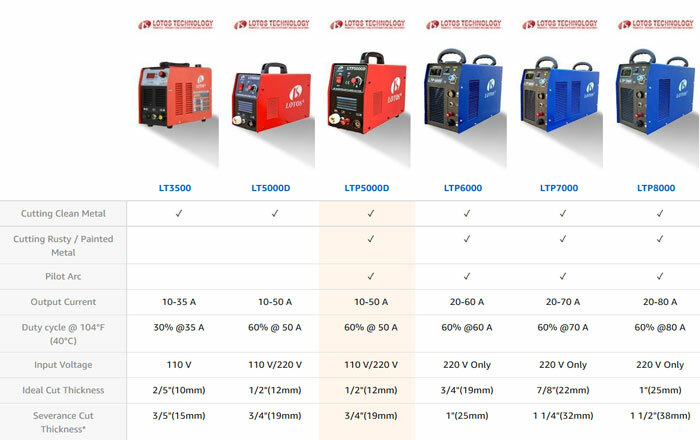 Please note that the dual voltage feature is only for LTP5000D (and LT5000D) models. Other models work with just 220V (there is an exception and it’s LT3500 cutter which works with only 110V). The cut thickness numbers for different models (both ideal and severance cuts) could be seen in the comparison table below. As might have seen before, there are other models (with small feature differences) as well. For instance, Lotos LT5000D (https://www.amazon.com/Lotos-LT5000D-Plasma-Voltage-Compact/dp/B004VFJL14) is very similar to LTP5000D (https://www.amazon.com/Lotos-LTP5000D-Non-Touch-Plasma-Voltage/dp/B0052OX876). No pilot arc and lacking the ability to cut non-clean (e.g. painted or rusty) metal are the only dissimilarities. But it is about $80 cheaper. 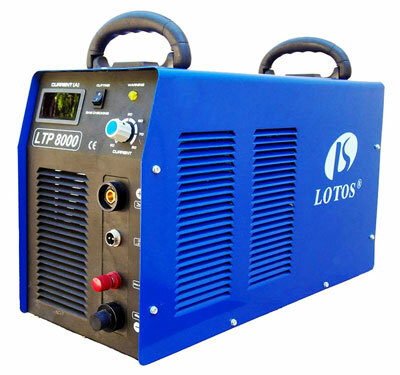 Overall, if the purpose of obtaining a plasma cutter is small business projects (light duty) or home DIY jobs then LTP6000 (https://www.amazon.com/Lotos-Technology-LTP6000-Non-Touch-Plasma/dp/B0052MMYPU) or 5000D would be an ideal choice. 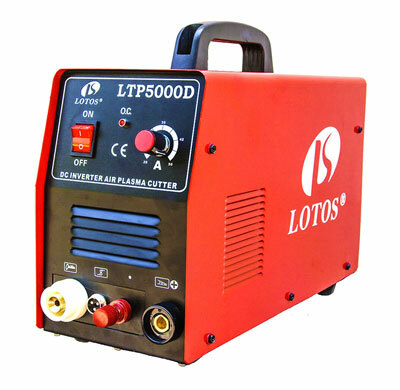 On the other hand, for more advanced tasks such as auto body repairs, farm or fabrication work and factory maintenance we suggest more powerful units such as Lotos LTP8000 (https://www.amazon.com/Lotos-LTP8000-Non-Touch-Plasma-Cutter/dp/B0052N4Y3E) or LTP7000 (https://www.amazon.com/Lotos-LTP7000-Non-Touch-Plasma-Cutter/dp/B00P858CHK). The prices for these machines vary as expected, ranging between around $400 and $900.